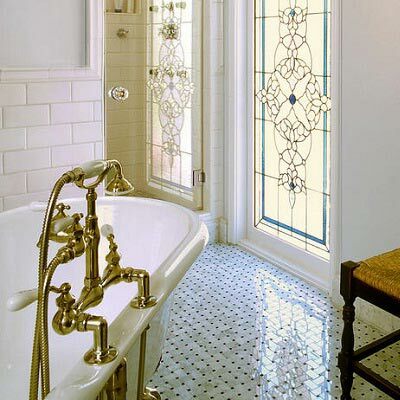 Mosaic Shower Tiles for walls arranged in numerous patterns give a splashy statement to the bath area. Within the home, shower happens to be one of the most utilized spaces. That being said, if you want to enjoy the best bathroom shower experience, you need to have the best shower tiles in your home as this helps complement the entire space. Different folks, and different stripes; so also it is with shower experience. People have varying expectations and dreams for their shower, but what’s most important is to consider the type of material to be used for bathroom shower tile, what level of maintenance will be required, and the desired kind of color and style – when tiling a shower. Below are a few vital steps that can help you to pick the perfect bathroom shower tile, also to choose the best of Walk in shower ideas that will transform your bathroom into a spa-like space. The shower tiles fitted within your bathroom are regularly exposed to a large volume of water, thus it is important to choose waterproof or glazing shower tile material. Most people go for ceramic and porcelain tiles for the shower as these tend to be somewhat more affordable and versatile. Considering glass tiles for the walk-in shower tile designs; these are slightly more costly and generally utilized as decorative pairs along with other tiles. If you desire a distinctive look, you can opt for textured natural-stone tiles material – however, these usually require being sealed prior to usage within wet environments. In addition, shower tiles utilized for the bathroom need to be slip resistant in order to cut down possibilities of accidents. You can go for tiles with ratings – A or B for slip resistance, as these will deliver optimal safety for users. For additional traction, consider tiling the bathroom shower floor with smaller shower tile designs. When considering Shower Floor tile, you need to factor in getting those that have aesthetic value, and that is suitably sized for the needed space. Most people like to use several categories of stone tiles and porcelain tiles for shower as these are popular options. People admire glazed ceramic tiles too. Smaller sized tiles have more grout lines; much more than larger sized ones; and due to the fact that grout is much similar to sandpaper, this offers greater slip-resistance. A barrier-free shower can opt for large-format shower tile designs to cover the floor. Large tiles and one-way slope help produce a great surface for movement. Large shower floor tiles should, however, have a COF of 0.60 or much higher. When opting for special tile for shower walls, this should include categories that are appropriate for very wet locations. The most widely utilized are glazed ceramic and porcelain shower tile walls – ranging from the ever-present 4.25-inch white squares to other large format tiles of diverse sizes. 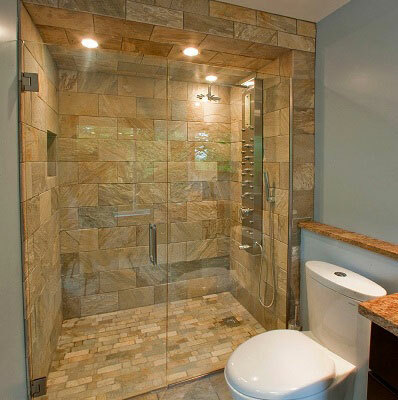 Stone and glass are great shower tile options for bathroom walls. Using colored glass is much better and safer, as clear glass tiles are a bit complex to install and reveals moisture behind the tiles. 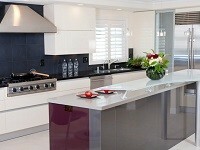 Choosing stone tiles, this is quite simple to clean and is a good stain resistant. You don’t also have to worry about it being slip-resistant since you won’t be climbing or walking on the walls. What matters most are the layout and shape, shower tile walls size, and maintenance level! You can utilize regular shower tile designs & colors to complement the appearance of the rest of your bathroom space. If you want colors that go with any style of bathroom whether searching for Walk in shower ideas, you can consider neutral colors like white and grey as these are plain tones, fit tightly and works as the great bathroom shower tile ideas. Plain tiles provide your bathroom a simple appearance that’s easily synchronized; though other patterned tile options provide better visual looks. You can try mosaic or embossed tiles in numerous shapes to provide custom texture or pattern that matches your shower walls. Shower tiles for bathrooms contribute largely to the aesthetic look of your space. With regards to remodeling your bathroom space, simply retouching the shower area is enough to improve the space, and most particularly if you are on a low budget. Below are few bathroom shower tile designs and patterns that will help you remodel your shower – making it more beautiful and for a relaxing bath experience. Always plan ahead and avoid awkward layouts and ugly cuts. Laying tiles in grid patterns happens to be one of the simplest, most popular and easiest tile layouts. Also setting your tiles in square-set pattern with a corner will help reduce the number of cuts required. Grid pattern setting provides a clean, contemporary look for bathroom showers. Any pattern that’s diagonal or on-point can be turned at an angle to immediately generate a more dynamic, fascinating look. Diagonal pattern setting can creatively make a small room appear larger. If your shower walls are not ideally square, having a diagonal layout will help hide flaws. Setting tiles on the diagonal, however, upsurges the volume of cuts you have to make at the edge of your installation. 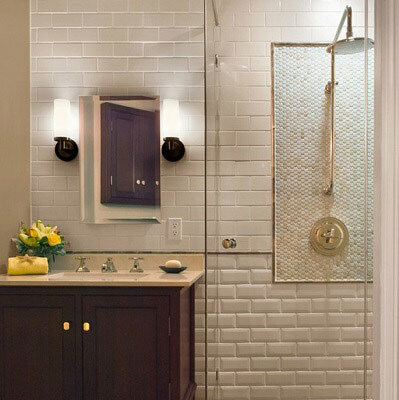 The brick pattern setting will always stay timeless even though it is set with metal and glass shower tile material. You can take any square or rectangle shower tile designs, and lay them in rows. Thereafter adjust and shift each row to generate an offset pattern. The brick pattern setting provides many potential effects. It can help generate a strong, traditional look; or softer, more natural appearance. This pattern and setting can help produce dynamic and varied look. For the herringbone pattern setting, you can just take a rectangular tile, turn one – making both – perpendicular to one another, and then align these along one side, repeating the process. This will help create an L shape with the two tiles. You can do this with just any size rectangle, forming a dynamic zigzag pattern that works for both traditional and contemporary setting bathroom shower tile ideas. Earlier shower tiles were basically installed in straight rows; that is placing one beneath another. In current time, the same application isn’t totally restricted. Interior designers keep trying out several shower tile designs and layout patterns in order to be able to spice up the look of a shower area. This means you have to think widely and go for creative tile pattern layouts even when searching for Walk in shower ideas with the most extensive look. When you apply different creative layouts, your shower space will surely appear more distinctive and class apart. You can try out arranging tiles diagonally for bathroom flooring. You can apply basic tile pattern layout for wall tiles as this is one of the coolest bathroom shower tile ideas. Applying these basic modifications can create that nice pattern that will be satisfactory. You can also have a line of colored tiles applied horizontally, from midway of the shower wall. Also consider the checkered pattern, by choosing two contrasting colors to have an ideal pattern. Another option is to cover half length of the shower walls, beginning from the floor in one color and the remaining half in some other color. 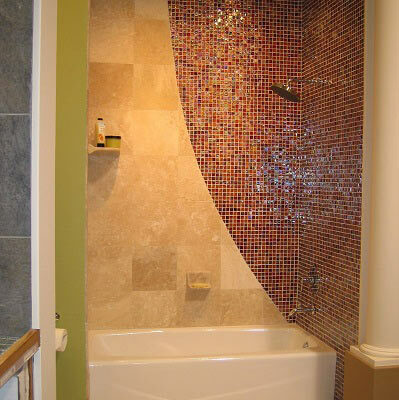 With respect to shower tile colors, they play a vital part in this project. 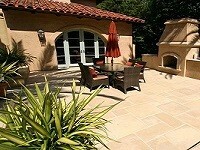 Choosing the right colors to have a lot to do with the tile patterns you opt for. You can select tile colors based on the mood you desire creating within your shower space. Some soft color tones such as off-white and beige can help create a soft and calm effect while having your bath, and these also produce a classy appearance. Applying a mix of gray and yellow will also produce a distinctive look. And in case you desire a flashy shower space that will offer you a sparkling visual effect, go for a bold color combination. Bright shower tiles will help you feel relaxed while having your bath. Black and maroon – or white and black colors will deliver to you an attractive shower space. You can also consider customized shower tile designs as these provide some creative appearance to behold. If you think that those commercially available tiles out there are too typical for your choice shower area, you can simply go for customized options. Just mention the specs & preferences you want and contact your creative tile in-house design expert to help design this according to your requirements. Go for diverse sizes and shapes according to your requirements and spruce up your shower area decor like you have never done in the past! When customized shower tiles are installed creatively and fittingly, they can help flawlessly facelift the shower area. Explore the several shower tile material options available, apply the best layout Walk in shower ideas and produce an eye-catching shower area that’s satisfying. The kind of shower tiles you utilize will determine the sort of care or maintenance it will require. Technically, glazed tiles tend to be the simplest shower tiles to clean. Utilize a multipurpose household cleaner to achieve optimum outcomes. Using severe cleaning materials that have ammonia or acids can ruin the grout and also tarnish the colors of certain kinds of tiles. Utilizing smaller tiles provides more grout, and will thus need a little more effort while cleaning them out. Use non-abrasive pads to keep the surface of glass tile cleaned and unscratched. Always test products prior to using them on an entire shower. To find the number of tiles required at any given time for shower space, this can be calculated by finding the square footage of your shower area and making out the exact numbers of tiles that will fit in that area. Remember some tiles might require cutting to fit corners and other awkward areas. With walk-in shower designs and remodeling ideas, this produces a pleasant spacious feeling for your bathroom. Walk-in shower is quite very safe, particularly for the elder ones and kids. Walk in shower ideas are also impressive among people and require a relaxing uncluttered bathroom style. With many shower tile walls options for walk-in shower ideas, you can go for the common types that come in the form of a glass addition, with the glass creating a bright and airy atmosphere. There are several shower tile designs to consider; so take a close look at our bathroom shower tile ideas for remodeling and compilation of past projects. A fine stone mosaic back-wall will pull your attention to it straightway as you set foot in the shower arena. You can keep the shower space from looking too cluttered or busy by applying a fairly neutral color to preserve the border and the rest of the walls. Also for a more refined look, you can mix up the tile patterns with one tile on one wall, another tile laid on the diagonal, and so on. If you are not certain about blending and matching tile materials, you can include refined visual contrast by selecting a different tile size for the Walk in shower ideas. You can try an outsized, square Granite tile on the bathroom floor by sample, and apply a smaller rectangular Ceramic Tile in the shower (doing so with the same color). 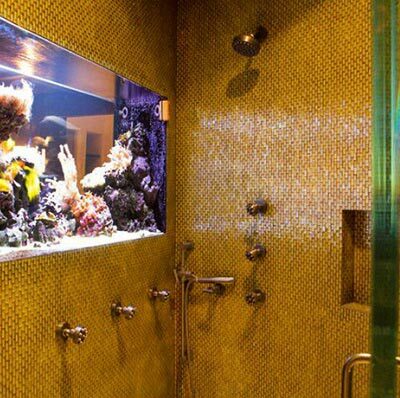 You don’t have to stick with the same tile in the shower. Utilize white subway tile to lining height, apply glass mosaic tiles on top of that for a surprising visual experience, & pebble tile on the bathroom floor for a mild foot massage advantage. Your bathroom shower tile can stand as an outstanding point of attraction complementing other tiles in the room. For instance, a slight black border in the shower can serve as a great means of matching black tile floor. The walls and floor of the bathroom and shower area stand as the main focus for the room. Most people forget that the bathroom/shower ceiling exists; so it is vital to improving this space by tiling it to add extra color, texture, and pattern. At Westside Tile and Stone, you can get the best shower tiles from a wide range of collections in our showroom in Beverly Hills and Canoga Park, Southern California. We are proudly serving as the best tile store in the greater Los Angeles area and committed to providing the latest bathroom shower tile ideas and designs. Choose the various shower tile patterns, sizes, and colors you like the best or to create your own custom shower tile designs with our design experts help. Contact us today for more information on shower tiles and connect to the Westside bathroom tile store near you.